Our product range includes a wide range of colorful stone horse statue, soapstone elephant sculpture, soapstone carving tortoise figure, elephant marble sculpture, marble carving elephant figurine and natural stone lion figurine. 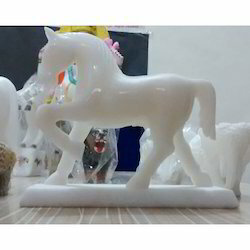 We are reckoned amongst the notorious manufacturers and suppliers of a broad array of Colorful Stone Horse Statue which include numerous shapes which include various beasts like cow, lion, deer and many more. The offered horse statue finds their places in the drawing rooms, desktops, dining tables and enhances the décor of your home. Moreover, we are providing our horse statue in different sizes & customized options to meet the varied demand of clientele. 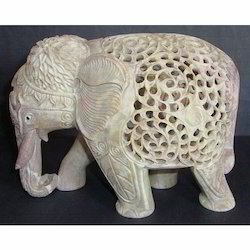 We offer a wide range of Soapstone Elephant Sculpture at competitive prices. These Soapstone Elephant Sculptures are designed by our seasoned craftsmen, who use fine grade stone and modern tools in the whole production process to ensure development of flawless products. Available in different shapes, sizes and colors, our range is highly reckoned among the clients. Duly tested on well defined parameters, these products conform to world-class quality. Since inception of our company, we are engaged in catering to the different needs of the customers by bringing forth a mesmerizing Soapstone Carving Tortoise Figure at budget friendly prices. Decorate various corners of your house and office with this beautiful showpiece of craft. It is handcrafted and hand painted by some of the famous artisans. 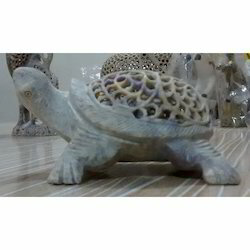 Hence, our offered Soapstone Carving Tortoise Figure is massively used as gifting option. 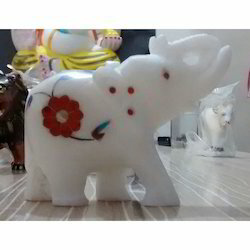 We offer Elephant Marble Sculpture. We offer our esteemed clients with a mesmerizing range of Marble Elephants, which is specially hand crafted by our team of craftsmen. These are carved out of graded marble, which is procured from reliable vendors across the nation. Further, our clients can avail these pieces at market leading prices. 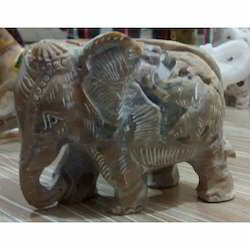 We are engaged in manufacturing and exporting a remarkable range of Marble Carving Elephant Figurine. Designed to perfection under the guidance of skilled craftsman, these statues can enhance the look of any interior and offer them an elegant look. 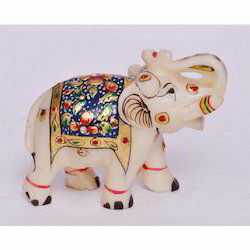 Accessible in multitude colors and designs, our Marble Carving Elephant Figurine is ideal for gifting purpose. We lay prime emphasis on the packaging of these statues for safe delivery at clients premise. We are engaged in offering an exceptional variety of Natural Stone Lion Figurine, which look royal, majestic and awe inspiring. These Sculptures & Statues are intricately carved by expert artisans, who painstakingly give life to every detail. Exquisite quality marble is sourced for manufacturing these lion statues, which can be found at entry gates, bungalows, hotels and other establishments. We are involved in providing an excellent quality range of Marble Inlay Elephant Statue that are sure to ad a touch of exuberance to the gardens and lawns. 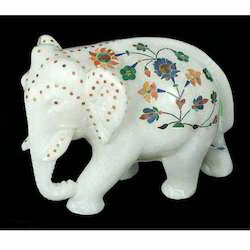 These Marble Inlay Elephant Statue are carefully carved out from the marble stones and then given a superior polish. The life size Marble Inlay Elephant Statue are clearly a work of craftsmanship and are thus in high demand amongst our clients. We take pleasure in introducing ourselves as one of the leading organizations, engaged in offering Handcrafted Stone Lion Sculptures that can enhance the look of any interior and offer them an elegant look. The offered lion sculpture is designed by our competent workforce using modern techniques in accordance with the market trends. As well, our lion sculpture is widely demanded by the clients for their beautiful appearance, perfect finishing and designs. We are a leading manufacturer, supplier and exporter of a huge range of Soapstone Colorful Lion Statue. These statues are designed in attractive styles that provide an allure look to the interiors and exteriors. Our artisans have designed these by using supreme quality marbles and small carving tools. These offered sculptures have excellent finish, smooth surface and glossy appeal. 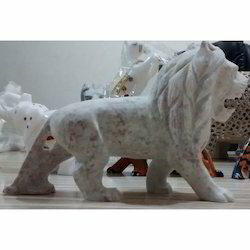 Furthermore, these Soapstone Colorful Lion Statue available in a large array of sizes and shapes are durable in nature, painted with vibrant colors and reflects the art of creativity. Avail the all new unique blend of superior quality marble handicrafts from us. 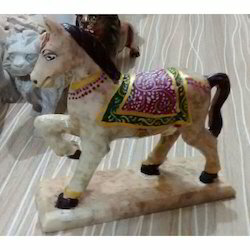 We are counted among the eminent Marble Horse Statue manufacturers in India. We make available a perfect mélange of beautiful marble handicrafts in assortment of designs and sizes. The team of personnel we possess endeavors to give their 100% in manufacturing and designing of new variety of marble stone handicrafts. In addition to this, the robust infrastructural base we own enable us to deliver marble handicrafts within the prescribed time frame. Since inception of our company, we are engaged in catering to the different needs of the customers by bringing forth a mesmerizing Gold Painting Marble Elephant at budget friendly prices. Decorate various corners of your house and office with this beautiful showpiece of craft. It is handcrafted and hand painted by some of the famous artisans. 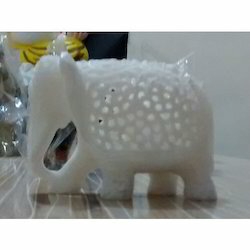 Hence, our offered Marble Elephant is massively used as gifting option. Looking for Animal Statue ?